With the addition of the Atomic Fuel Injection Systems, high output DynaForce alternators, and heavy duty starters, MSD has proven itself to be much more than the leader in ignition technology. 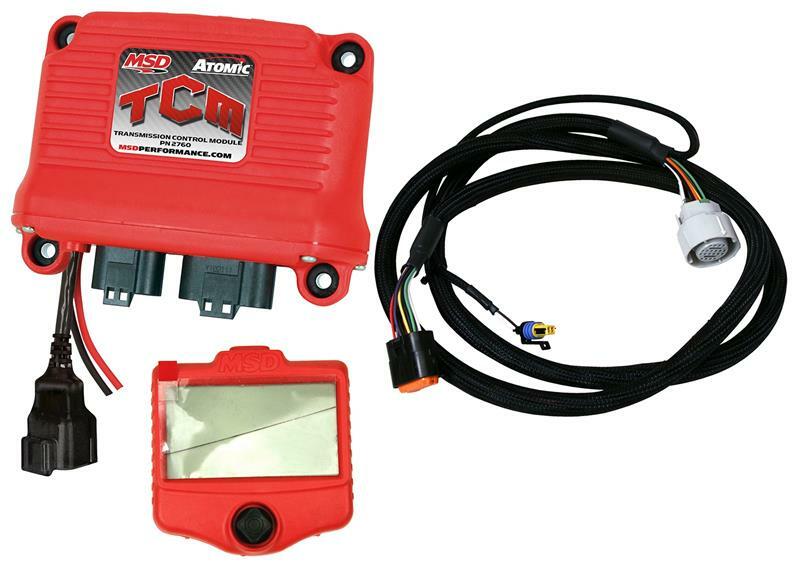 As vehicle electronic requirements continue to evolve, MSD is there as your source for integrated performance controls with its new Atomic Transmission Control Module (TCM)! The all-new MSD Transmission Controller was developed completely in-house – evolving from the engineering expertise and proven performance of our Atomic EFI technology. 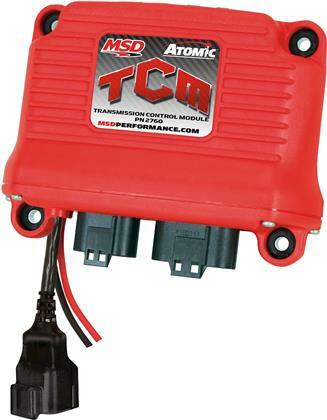 In fact, the Atomic TCM is designed to integrate directly with the Atomic EFI when using Brainwave so you can modify transmission operation parameters from the same handheld monitor! Doing away with the need for sensor duplication, and an extra programmer, means less wiring for easy installation and a clean appearance. Don’t worry if you haven’t stepped up to an Atomic EFI system yet; the Trans Controller is also offered as a stand-alone system to work with most OEM or aftermarket fuel injection systems, as well as carbureted applications equipped with a stand-alone Throttle Position Sensor (TPS). This allows you to take advantage of modern 4-speed overdrive transmissions and the inherent flexibility associated with electronic controls.